Dr. Eitan Mijiritsky is Senior Lecturer and Researcher at the Oral Rehabilitation Department of the Tel-aviv University School of Dental Medicine. Coordinator of the 6th year Undergraduate students in Prosthodontics. Coordinator of the International Academic Affairs of the School of Dental Medicine. Dr. Mijiritsky is Board Member of the Israel Prosthodontics Society. Board Member at the Scientific Committee of the International Digital Dentistry Society (DDS). 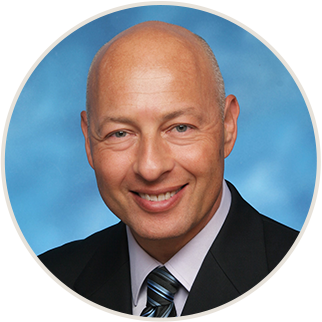 Dr. Mijiritsky is both a nationally and internationally active keynote lecturer, scientific chairman in numerous seminars and meetings and the author of 50 peer reviewed articles related to implant dentistry and prosthodontics. The total digital implant planning and restora on concept–Are we there yet? The most important phase in a complex implant case preparation is a precise pre-operative diagnosis and understanding of the treatment aims and the case limitations. With the aid of digital planning of the case through digital modelling and softwares, the clinician can predict anatomic conditions and occlusal limitations. It allows the clinician to transfer the planned 3-D implant position from the software into the surgical field, to plan in advance the restored teeth in respect to the occlusal relasionship and to the optimal implant position, to produce in advance a Cad/Cam provisional restoration and to decide regarding the surgical and prosthodontic protocols to choose such as late vs. immediate loading following a conventional flap vs. flap-less implant surgery. But what about the precision of the available intraoral scanners in oral implantology? Are we there yet? During the presentation the relevant and most updated literature and actual conclusions will be presented with few complex clinical cases.